approval of councillor training proposals. This Committee will also oversee the planning, organisation and monitoring of regular civic functions, such as Mayor’s Sunday, Mayor’s Ball, Mayor/Mayoress’s “At Home”, and to identify any ‘one- off’ civic functions or receptions. 2. To Receive and Note Apologies for Absence and Consider Reasons Given for Non-Attendance. It will be necessary for Standing Order 3(d) be invoked at this point, due to confidential employment issues under discussion. The next scheduled meeting will be held on Wednesday, 27th March 2019. Present: Cllrs S Kimberly (Deputy Chairman), J Elliott, A Hutchison and S Varley. W Maynard-Light (Deputy Town Clerk) also attended. To Received and Note Apologies for Absence and Consider Reasons Given for Non-Attendance. Apologies were received from Cllrs R Gettings, J Aveyard, W Kidger, R Bell and R Finnigan. The reasons were received and noted. The minutes of the meeting held on 28/11/18 were agreed as a true and correct record. Payments totalling £32,348.95 (excl any VATable items) for November 2018. The financial report for November 2018 was received and noted. Members considered projected expenditure to 31/3/19 as per information in app1 prepared by the Deputy Town Clerk. (iii) A precept of £204,379 for 2019/20 is recommended for ratification by Full Council at its meeting to be held on 9th January 2019. This means a -1% increase at Band D. This was proposed, seconded and agreed. It was noted that the “anticipated” LCTS Grant for 2019/20 is £12,411. Cllr Hutchison gave a verbal report on the current situation following the last meeting/workshop. Plans for the Art Space are progressing. Cllr Hutchison gave a verbal update on this item. Awaiting costings from seamstresses. This item to be placed on the next agenda. A copy of this Return had been provided to members and the information was noted. Invoice from Rialtas Business Solutions Ltd for £250.00 (plus VAT) re. Omega software maintenance. The above items of expenditure were approved for payment. 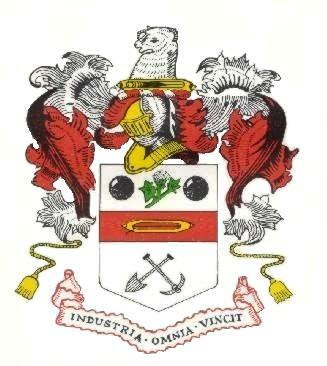 Petty cash expenditure – £18.00 re cleaning of Mayor’s robes. The above items of expenditure made under Town Clerk’s delegated authority were noted. The next scheduled meeting will take place on Wednesday, 27th February 2019 at 7 pm. J Aveyard (late arrival). W Maynard-Light (Deputy Town Clerk) also attended. 2. To Received and Note Apologies for Absence and Consider Reasons Given for Non-Attendance. Apologies were received from Cllr W Kidger. The reason was noted. The minutes of the meeting held on 16/10/18 were agreed as a true and correct record. Payments totalling £36,100.37 (excl any VATable items) for September 2018 and £14,636.19 (excl any VATable items) for October 2018 were approved. The financial reports for September and October 2018 were received and noted. (i) ‘Mayor’s Christmas Wine Tasting Party’ on Friday, 7/12/18 at Thornfield House at 7pm. (ii) He would be attending the funerals of Billy Adcock and Joe Morton. (iii) Normanton Christmas lights switch-on event on 30/11/18. (iv) The Mayor’s Carol Service on Sunday, 9/12/18 at 5pm. (v) A reception for the Poppy sellers in the Mayor’s Parlour, Thursday 6/12/18 at 11.30am. (vi) Christmas lights switch-on event, 1/12/18. Cllr Elliott gave an overview of the current situation. Groundworks had progressed their work remit and submitted plans to LCC. Cllr J Aveyard arrived at this point. Cllr Elliott informed members the monies required for the project has been found from combined avenues. Cllr Hutchison gave an overview and suggested robes could be made by a local seamstress. Following a discussion, it was agreed Cllr Hutchison progress this idea and obtains price(s), to be reported at the next meeting. Cllr Hutchison proposed work begins in the Spring on a jet wash of the full length of Queen Street, with expenditure being taken from the Highways budget. Proposed costings to be brought to the next meeting by Cllr Hutchison. (i) Highways & Transportation budget for Horticulture to be increased to £17,500. (ii) Morley Arts Festival budget increased to £10,000. (iii) Royal Society of St George budget increased to £10,000. (iv) Community Grants budget increased to £10,000. 11. To consider recommendations from Ward Councillors on proposed projects. (i) Youth/families Activity Fund to be set up. Requires a criteria for application. To be brought back to next meeting. (ii) Commission of re-useable cloth bunting in town colours to include crest, with a durability of up to five years and washable. This was referred to TCMB. (iii) Hesketh Lane, CCTV in the playground. (iv) CCTV on the orchard next door the Hesketh Lane playground. (v) Signage “Welcome to Morley, Fairtrade Town”. (vi) Grit bins to be placed in strategic positions within each ward. (vii) Production of leaflet for “Mungo Way” (country walk(s)), identifying footpaths walks undertaken by Highways Committee members. (viii) Zebra crossings. To convert all zebra crossings with ‘halos’ and also prepare lamp posts, previously identified, for installation of SID’s. The receipt of the CIL income was noted. Cllr Gettings advised members Morley In Bloom had previously purchased a quantity of badges, it was proposed the Town Council purchase the remaining badges, with the expenditure being taken from cost centre 4402, Civic Duties Non-Food. This expenditure was agreed. In view of the confidential nature of the business about to be transacted, it is advisable in the public interest, that the public and press be temporarily excluded in accordance with Standing Order 3 (d) and they are instructed to withdraw. (i) Payments in respect of Salary, Pension Contributions and Tax & NI Contributions for October (retrospective), November 2018 (retrospective) and December 2018. (ii) Invoice dated 6/11/18 from Ricoh for £106.96 (plus VAT) re. photocopying paper. (iii) Invoice from The Royal British Legion for £60.00 re 3 x wreaths – Remembrance Sunday 11/11/18. (iv) Invoice dated 15/11/18 from Lee & Company for £396.00 (plus VAT) re. Payroll preparation service December 2017 to November 2018. (v) Payment of £300 The Band of the WY Fire & Rescue Service re Poppy Launch Concert 27/10/18 (to be taken from cost centre 4291 – Remembrance). (vi) Invoice dated 2/10/18 from Leeds City Council for £1,496.79 (plus VAT) re. cost for installation and connection of column mounted Wi-Fi equipment. (vii) Invoice dated 6/11/18 from Groundwork Leeds for £ 2,595.00 (plus VAT) re. Art Space project architect fees, planning fee and consultation fees. Monies to be taken from Special Projects, cost centre 4210. (viii) Duplicate invoice dated 21/12/17 from DomAlarms for £304.50 (plus VAT) re. Annual CCTV System maintenance 14/2/18-13/2/19 (original invoice not received). Monies to be taken from CDC CCTV, cost centre 4251. (i) £5.25 Bank Charges – payable 31/10/18. (ii) Reimbursement to Cllr Kidger £104.39 re. bunting for Remembrance. (iii) £200 – Neopost Limited to top-up Franking Machine Credit A/c. (iv) Reimbursement to Deputy Town Clerk for £33.32 (plus VAT) re. annual Norton renewal. (v) TalkTalk Broadband and card fee (by Credit Card) – £66.20 (October). (vi) Petty Cash – R Bell – £14.40 re. mileage claim to civic events. (i) £60.00 to MRFC re 4 x tickets – Remembrance luncheon 11/11/18. (ii) Petty cash – £26.26 (plus VAT) re. replenishment of Mayor’s drinks cabinet. (iii) Petty cash – £10.00 re Community Contributions – SCARD Oakleaf Service 18/11/18. (i) Email dated 24/10/18 from Rebecca Fields, Assistant Financial Manager, LLC re: CIL Payment Oct 2018 – Morley Parish. (ii) Email dated 31/10/18 from Carolyn Jolley, Senior Finance Manager, LLC re: Proposed Council Tax Precept Timetable for 2019/20. (iii) Email dated 20/11/18 from Kathryn Moran, CIL Office, LCC re: CIL Guide for Community Committees and Parishes November 2018. The above items of correspondences were received and noted. The next scheduled meeting will take place on Wednesday, 2nd January 2019 at 7pm. Present: Cllrs R Gettings (Chairman), R Bell, S Kimberley, S Varley, J Aveyard, R Finnigan, W Kidger (late arrival) and J Elliott (late arrival). Cllr A Rhodes and W Maynard-Light (Deputy Town Clerk) also attended. Apologies were received from Cllr A Hutchison and note. The minutes of the meeting held on 18/7/18 were agreed as a true and correct record. Cllrs W Kidger and J Elliott arrived at this point. Payments totalling £18,765.03 (excl any VATable items) for July 2018 and £6,723.08 (excl any VATable items) for August 2018 were approved. The financial reports for July and August 2018 were received and noted. The budget for 2018/19 was reviewed and noted. It was proposed and agreed to adopted 2018/19 budget figures for 2019/20. Cllr Elliott gave an overview of the current situation. There have been changes to the original plan, with the whole area of Windsor Court being incorporated into the current scheme/plan and to be completed in one phase with the plans to be revealed soon. The next meeting of the committee was scheduled to taken place on 7/11/18 and Cllr Elliott would report back. Cllr Gettings, at this point, requested thanks be recorded to Deputy Town Clerk for taking on the duties of the Town Clerk, as well as her own, during the Town Clerk’s period of sickness. This was endorsed by members of the committee. (a) Poppy Launch Concert – 27/10/18. Arrangements are progressing well. DTC to send email inviting all Councillors to the event. Councillors to respond to Cllr Gettings, who will reserve seats. All proceeds from the evening will go to the Royal British Legion. (b) Festival of Remembrance – 9/11/18. Central Methodist Church, Wesley Street. Schools have been invited to attend. All children attending will be given a wooden cross to ‘plant’ in the flower beds around the Town Hall after the service, with a small group continuing to the War Memorial in Scatcherd Park for a short commemoration service. (c) Remembrance Sunday – 11/11/18. Gather in the Alexandra Hall for briefing. Mayor and civic guest to meet in the Mayor’s Parlour. Parade and wreath laying arrangements as in previous years. Cllr Elliott advised members scaffolding would be erected on 29/10/18 for work to start and be completed by 9/11/18. Cllr Gettings gave a verbal report on the background to this item and the omission of Morley from both the map of Leeds and references to events/restaurants. It was proposed and agreed the Town Council writes to the publishers to request this omission be redressed. Cllr Gettings gave an overview on the item. The crockery, belonging to the Morley Borough Council and stored in the Clocktower had been brought down, audit procedure undertaken, d broken crockery disposed of in accordance with LCC stipulation. Best crockery retained for Town Council usage or to sell onto members of the public, with monies going towards item(s) required in Mayor’s Parlour. Cllr Gettings advised members the chair from the Mayor’s Parlour had been sent for re-holstering/repair. The work in the Council Chamber had been completed and painting of the ceiling in the Mayor’s Parlour would be undertaken shortly. Cllr Kidger advised members of the work being carried out on various issues/repairs taking place throughout the Town Hall. Areas still to be considered for repair/refurbishment are the Cells, Clock Tower and Cllr Varley requested the kitchen in the Morleian Room be considered. (ii) Mayoress At Home – Saturday 16th March 2019 in Morley Town Hall. 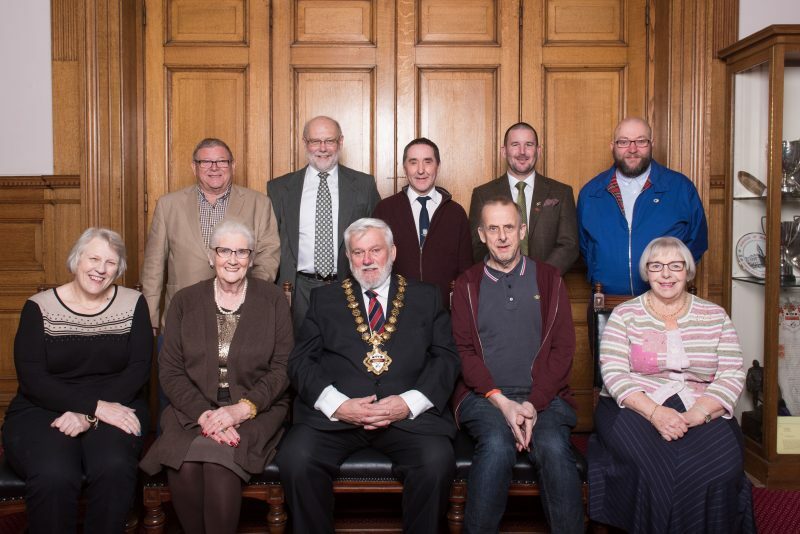 (iii) Mayor’s Ball – Saturday, 13th April 2019 in Morley Town Hall. 14. To discuss Morley Community Archive’s book commemorating the end of World War 1 and agree associated expenditure. Cllr Kidger gave an overview of the book, with an initial print of 75 books and proceeds going to charity. It was proposed and agreed £300 be donated with the proviso a copy of the book goes to the library, each school and one to the Town Council. Cllr Gettings gave an overview on this item. Cllr Hutchison has proposed that a set of robes for the Mace Bearer be commissioning, using a local seamstress, to be worn on civic and ceremonial events. Following a discussion, it was proposed this item be brought back to the next meeting and Cllr Hutchison asked if he has a specific design/style of robes in mind. Cllr Gettings gave an overview to this item. Following a discussion, a budget of up to £100 was proposed and agreed. Cllr Kidger to source and order bunting. The above items of expenditure made under Town Clerk’s delegated authority were received and noted. This item of correspondence was noted. The next scheduled meeting will take place on Wednesday, 28/11/18 at 7pm. R Finnigan (late arrival). K Oakley – Town Clerk also attended, together with 1 member of the public. Apologies were received from Cllr J Aveyard. Cllr R Finnigan arrived at this point. The minutes of the meeting held on 27/6/18 were agreed as a true and correct record. L Raynor and PCSO A Goodall attended to present. This funding has been requested to restock existing boxes which are offered within the Town Council area to any member of the public going away. Some of the items included in the box are returnable, but there are a few items which can be kept, i.e. safe cans, marker pens. Following a discussion, funding of £1,169 from ‘Special Projects’ was proposed and agreed. Payments totalling £16,164.85 (excl any VATable items) for June 2018 were approved. The financial reports for June 2018 were received and noted. A meeting has been arranged for Tuesday, 24/7/18 to discuss the project further. A copy of the latest Siegen Circle AGM Minutes had been sent out to members and these were noted. It was reaffirmed that the membership should be the Mayor, Leader of Council, Chairman of the Finance, GP & Strategic Committee, Chaplain, a member of the Royal British Legion and the Town Clerk. There was no further update, however, it was requested that this item be placed on the next agenda. A lengthy discussion was held and it was agreed that this matter be given further consideration. An email dated 21/6/18 from R Kennedy, Arts Festival Director, was discussed. Additional funding of £3,000 for the 2018 Festival has been requested to cover the cost of Printing/Distribution, Brochures and Public Liability. Following a discussion, the additional funding requested of £3,000 was proposed and agreed. This expenditure is to be taken from ‘Special Projects’. A discussion was held regarding the amount requested; as it is not yet confirmed what the actual costs will be, Cllr Finnigan proposed that the sum of £10,000 be approved without specification, and the expenditure to be taken from ‘Special Projects’. This was agreed. However, because of the amount involved, this will require ratification by Full Council at the meeting to be held on 5/9/18. The Town Clerk was asked to invite R Kennedy, Town Centre Manager, to the Full Council meeting to brief members on the area to be covered by the BID, along with provision of an appropriate map. (i) Petty cash expenditure – £24.22 re. replenishment of Mayor’s drinks cabinet. (ii) Petty cash expenditure – £15.00 re. laundering of tablecloths. (i) Email dated 16/7/18 from Entertainment Licensing, Leeds CC re. ‘Public Consultation – Licensing Act 2003 Statement of Licensing Policy’. This item of correspondence was noted. The next meeting is scheduled to be held on Wednesday, 26/9/18 at 7pm. Present: Cllrs R Gettings (Chairman), R Bell, S Kimberley, R Finnigan, A Hutchison, J Aveyard, J Elliott and W Kidger. K Oakley – Town Clerk also attended, together with 1 member of the public. The minutes of the meeting held on 23/5/18 were agreed as a true and correct record. Payments totalling £28,422.06 (excl any VATable items) for May 2018 were approved. The financial reports for May 2018 were received and noted. Cllr Elliott provided members with a verbal update and reported that A Mindham has now left Groundwork, however, someone else will be able to take over the project management. Outline Planning Permission has been granted and a design is yet to be confirmed. A discussion was held regarding the possibility of a large screen being incorporated into the design. It was agreed that this item be brought back at some time in the future. A discussion was held regarding receipt of regular updates from each of the organisations that receive Town Council funding, i.e. RSSG, Morley In Bloom, Morley Murals, Morley Arts Festival, Siegen Circle and the Town Centre Management Board. It was proposed and agreed that a written report or minutes of meetings be sent to the Town Council at least six-monthly or within a significant period of time. Cllr J Elliott requested that this item be put on the ‘back-burner’ for the time being. There could be some ‘Capital’ funding available towards work that will cost in the region of £18,000. A 3-way split was discussed, i.e. one-third from Community Committee, one-third from Sec 106 funds and one-third from Morley Town Council (CIL funds). Cllr Elliott undertook to forward the estimate obtained for the work to the Town Clerk, who was asked to include an item on the Full Council agenda 4/7/18 for the expenditure of £6,000 to be approve from CIL funds. The information contained in the brief report, was noted. A further request was made for a meeting with Line Manager and representatives from Gildersome & Drighlington PC’s to discuss progress. The appointment of Yorkshire Internal Audit Services as Internal Auditors for financial year 2018/19 was approved. The expenditure in respect of the updating of the Honour Board for 2018/19, was approved, based on the 2017/18 cost of £125.00 plus VAT. It was agreed that the photographs on the website should remain as they are. Following a discussion, it was agreed that the Town Clerk informs all members that apologies and reasons for absence should be given to the Town Clerk. The release of the 2018/19 funding of £9,000 to Town Centre Management Board was approved. Following a discussion, it was agreed to donate the sum of £583.32 to the 2017/18 Mayor’s Charity Fund from the ‘Special Projects’ budget heading. It was decided that the second Tuesday of the month is preferable, however, this will be determined at the 2019 Annual Full Council meeting. (i) Estimated amount of £3,345.00 (plus VAT) to supply, install and maintain additional street light near to the bridge on the footpath, Cottingley Station. Estimated cost provided by Street Lighting PFI Manager, Leeds City Council. The above item of CIL expenditure was approved. This item was previously discussed at the 23/5/18 meeting and referred to the Highways & Transportation Committee for consideration and report back. As the work has already been completed, this is considered retrospective. However, the above item of CIL expenditure was supported, but will require ratification by Full Council on 4/7/18. (i) Payments in respect of Salaries and Pension Contributions for June 2018. (ii) Invoices dated 31/5/18 and 11/6/18 from Technology Hire Service (UK) Ltd. for £120.00 and £190.00 (both plus VAT) in respect of resolving of computer issues. (iii) Invoice dated 7/6/18 from Staples UK Ltd for £16.35 (plus VAT) re. Stationery. (iv) Invoice dated 12/6/18 from Neopost Finance Ltd for £96.47 re. Franking m/c rental 19/7/18 to 18/10/18. (v) Invoice dated 4/6/18 from Chauffeurtours UK Ltd for £160.00 (plus VAT) re. Civic Transport to Wakefield and return. (vi) Invoice dated 5/6/18 from Buffalo Web Design for £30.00 (plus VAT) re. making Website GDPR Compliant. (vi) £29.70 re. TalkTalk Broadband (May). (viii) £29.70 re. TalkTalk Broadband (June). (i) Small amounts of petty cash expenditure (May) re. laundering of tablecloths, replenishment of Mayor’s drinks cabinet, catering for Annual Meeting total £109.60. (ii) Small amounts of petty cash expenditure (June) re. catering for Annual Meeting and Civic Sunday, tickets for an event, choir for Civic Sunday, catering for Brass Band Competition reception total £180.67. The above items of expenditure under Town Clerk’s delegated authority, were noted. (i) Email 1/6/18 from YLCA re. ‘Request to Complete a Short Survey to Gather Evidence: Adoption of the Community Infrastructure Levy System’. (ii) Email 11/6/18 from Principal Licensing Officer, Leeds CC, re. ‘Statement of Licensing Policy – Public Consultation’. The above items of correspondence were noted. The next scheduled meeting will take place on Wednesday, 18/7/18 at 7pm. In the absence of the Chairman, Cllr S Kimberley (Deputy Chairman) chaired the meeting. Present: Cllr S Kimberley (Deputy Chairman), R Bell, A Hutchison, J Aveyard, S Varley and W Kidger (late arrival). K Oakley – Town Clerk also attended. Apologies were received from Cllrs R Gettings, R Finnigan and J Elliott. The minutes of the meeting held on 19/4/18 were agreed as a true and correct record. Payments totalling £54,390.51 (excl any VATable items) for April 2018 were approved. The financial reports for April 2018 were received and noted. Cllr W Kidger arrived at this point. This information including ‘E01-18 Salary Scales’ was received and noted. Cllr Aveyard provided members with a verbal update confirming that the finance is in place. Things are moving forward and there is to be an imminent press release. Outline Planning Permission has been granted and a design is yet to be confirmed. Following a discussion, it was agreed to revisit this matter once the new GDPR Regulations are better established. (i) Email dated 2/5/18 from S Spence, Chief Officer, YLCA re. Information Commissioner’s Statement on the General Data Protection Regulation’ and attachment ‘PB01-18 – ICO Statement on GDPR and the Local Councils Sector’. All of the above items relating to General Data Protection Regulations (GDPR) were noted. The information contained in the brief report, was noted. A request was made for the Town Clerk to set up a meeting with Managers, with representatives from Gildersome & Drighlington PC’s to discuss progress. Following a discussion, the Town Clerk was requested to invite L Raynor and representatives of NPT to attend a meeting, as per L Raynor’s email dated 29/3/18. The receipt of this income was noted. This amount of expenditure was approved, to be paid monthly by direct debit. It was agreed that the expenditure be taken from ‘Special Projects’, however, in the next financial year, to have its own budget heading. (i) Quotation dated 9/4/18 for £4,250.00 (plus VAT) to Churwell Community Assoc re. repair work to entrance gates and railings at Churwell Cenotaph. The above item of CIL expenditure were approved. (ii) Consideration of match-funding of £6,000.00 re. improvement works to grass verges on Dewsbury Road, Tingley. Following a discussion, it was agreed that this item be referred to the Highways & Transportation Committee for further consideration. The above items of expenditure, made under Town Clerk’s delegated authority were noted. The next scheduled meeting will take place on Wednesday, 27th June 2018 at 7pm. Present: Cllr r Gettings (Chairman), R Bell, S Kimberley, J Aveyard and S Varley. K Oakley – Town Clerk also attended. Apologies were received from Cllrs R Finnigan, J Elliott and W Kidger. A question was asked regarding minute 14(i) and a discussion ensued. The minutes of the meeting held on 29/3/18 were agreed as a true and correct record. Payments totalling £4947.41 (excl VAT) for March 2018 were approved. The financial reports for March 2018 were received and noted. Cllr Aveyard provided members with a verbal update. Members were updated on progress by the Town Clerk and it was reported that Cllr A Rhodes had agreed to install the notice boards. Cllr Gettings provided an update on arrangements and it was agreed that a £200 donation be given to the Scouts for helping. This item was deferred to the next agenda. The Town Clerk reported that it had been confirmed by YLCA that they can offer a DPO service. Further details are to follow. Following a discussion, it was agreed that audited accounts should be requested from an organisation when it asks for release of the funding. A verbal report was provided. A request was made for the Town Clerk to set up a meeting with Managers, with representatives from Gildersome & Drighlington PC’s to deal with appropriate transfer of funds from receipts recently received. This item of expenditure was approved. The Town Clerk was asked to make appropriate enquiries regarding possible grant funding and to liaise with Cllr J Elliott regarding what work is required. The above items of expenditure made under Town Clerk’s delegated authority, were noted. The date and time of the next meeting will be confirmed at the Annual Full Council Meeting to be held on Wednesday, 9th May 2018. Present: Cllr R Gettings (Chairman), R Bell, S Kimberley, J Elliott and W Kidger. K Oakley – Town Clerk also attended. Apologies were received from Cllrs R Finnigan, S Varley, J Aveyard and A Hutchison. All members present declared an ‘other’ interest in agenda item 14(i), as they are all members of the RSSG. Cllr Judith Elliott was in attendance and the minutes should be amended to record this. Subject to this amendment, the minutes of the meeting held on 4/1/18 were agreed as a true and correct record. Payments totalling £4,304.40 (excl VAT) for December 2017, £16,573.73 (excl VAT) for January 2018 and £10,525.40 (excl VAT) for February 2018 were approved. The financial reports for December 2017 and January and February 2018 were received and noted. Cllr Elliott gave a verbal update. It was reported that £65,000 funding from the ‘Local Centres Programme’ has been approved by the Executive Board; £45,000 funding is already in place. A further £10,000 is available if needed. The project will cost approx. £109,000 in total. The Town Clerk was asked to make enquiries about installation. Cllr Gettings reported that he had recently met with R Jackson, LCC, who had confirmed that he is happy for us to go ahead and sell the items, however a record must be kept of any items sold. The proceeds could be used to purchase replacement items for the Mayor’s Parlour, i.e. glasses. It was also suggested that the glass washing machine needs a plate rack. It was reported that Cllr S Varley had volunteered to assist with the audit of the items. The Town Clerk reported that a training event is to be attended on 12th April 2018 relating to new GDPR Regulations. It was proposed and agreed that support be provided by Buffalo Web Design on an ‘ad-hoc’ basis at a rate of £45.00 per hour in 20-minute slots. The above item of expenditure was approved. It was proposed and agreed that the expenditure of £2,441.00 in respect of the Yorkshire Local Councils Associations 2018/19 subscription be approved. Following a discussion, it was proposed and agreed that the Town Clerk writes to the RSSG Head Office to confirm that the Town Council does not support the need for a ‘Morley’ Branch of the RSSG. Cllr Gettings to provide Town Clerk with appropriate address information. It was proposed that an item be placed on each Finance, GP & Strategic Committee agenda relating to ‘Partnership Organisations’. This was agreed. It was felt that someone should be paid to update the website on a more ‘regular’ basis, with photographs etc. It was suggested that an amount of £20 per week, to a maximum expenditure of £500 to come from the ‘Special Projects’ budget. This item to be placed on the next agenda for further discussion and consideration. It was proposed and agreed that an Aluminium Statue of ‘Tommy’ be purchased by the Town Council. It was suggested that this be sited in Scatcherd Park in the garden by the War Memorial. Morley Murals would be happy to contribute, i.e. fund the cost of installation. The cost of the statue is £750.00 and the expenditure to be taken from the ‘Special Projects’ budget. The Town Clerk was asked to request audited accounts from the Town Centre Management Board and Morley Arts Festival. It was agreed that the next meeting be brought forward to Thursday, 19th April 2018 at 7pm. Present: Cllr R Gettings (Chairman), R Finnigan, S Varley, R Bell, S Kimberley, J Aveyard, J Elliott and W Kidger. K Oakley – Town Clerk also attended. Apologies were received from Cllr A Hutchison. Cllr R Gettings, R Finnigan and S Varley declared an ‘other’ interest in any applicable items relating to LCC. The minutes of the meeting held on 30/11/17 were agreed as a true and correct record. Payments totalling £11,502.19 (excl VAT) for November 2017 were approved. The financial reports for November 2017 were received and noted. Members considered projected expenditure to 31/3/18 as per information in app 1 prepared by the Town Clerk. Possible expenditure in respect of ‘4170 – Election Costs’, was discussed and it was agreed to leave this at zero. All of the Committee budget submissions for 2018/19 were considered and approved. With regard to the Finance, GP & Strategic Committee budget, it was agreed to increase the budget for ‘4170 – Election Costs’ to £20,000. (iii) A Precept of £204,379 for 2018/19 is recommended for ratification by Full Council at its meeting to be held on 17th January 2018. This means a –0.2% increase at Band D. This was proposed, seconded and agreed. It was noted that the “anticipated” LCTS Grant for 2018/19 is £13,479. Cllr Finnigan gave a verbal report on the work being carried out by Michelle Walters (CEO). It was suggested that the Enforcement Officer be asked to attend a Committee meeting quarterly to report. The Town Clerk was asked to circulate information to all members, that any areas requiring a patrol can be submitted and this will be passed on to Michelle. Cllr Elliott gave a verbal update. A further meeting has been scheduled for 12th January 2018 to progress the matter. Following a discussion, it was proposed and agreed to form a Working Group, which shall comprise the current Mayor (currently Cllr R Finnigan), Royal British Legion Chaplain (currently Rev Mike Godfrey), a member of the Royal British Legion and the Chairman of the Finance, GP & Strategic Committee (or a representative of). It was noted that installation of these boards would be necessary and could possibly be done by Highways, LCC. Following this discussion, it was agreed that 4-6 boards be obtained and expenditure to come from Special Projects. Cllr Gettings reported that he has yet to arrange a meeting with Mr Jackson (LCC). The Town Clerk reported on a recent meeting with a new Business Relationship Manager, which had resolved several issues. However, members were informed that the Town Council would now incur bank charges payable on a monthly basis; unfortunately these charges are now unavoidable. Members noted this information. 14. The above items of expenditure were approved. The next meeting is scheduled Wednesday, 28th February 2018 at 7pm. Present: Cllr R Gettings (Chairman), S Varley, J Elliott, R Bell, S Kimberley, J Aveyard, A Hutchison and R Finnigan (late arrival). W Maynard-Light (Deputy Town Clerk) also attended. Apologies were received from Cllr W Kidger. The minutes of the meeting held on 19/10/17 were agreed as a true and correct record. Payments totalling £45,257.54 (excl VAT) for September 2017 were approved. The financial reports for September 2017 were received and noted. Following a discussion, it was proposed and agreed to combine cost centres 4401 Civic Duties Food and Drink and 4402 Civic Duties Non-Food. Cllr Finnigan arrived during the above item. It was proposed and agreed to adopted 2017/18 budget figures for 2018/19 with amendments agreed at the previous meeting. Cllr Finnigan gave a verbal report on the work being carried out by Michelle Walters (CEO). Cllr Elliott gave a verbal report on the progress, it has been identified that applications should be made for external grant funding for the project. Awaiting comments/recommendations from Heritage on the design of the art space. Following a discussion, it was proposed and agreed to form a Working Group, which will report back to Finance. The membership of the group to be agreed at a later date. This item was deferred until January meeting. Cllr Gettings gave a verbal report on the current position and a meeting to be arranged with Mr Jackson (LCC). This item was deferred until January. (ii) Invoice dated 7/11/17 from Staples UK Limited for £61.50 (plus VAT) re. Stationery. (i) Invoice dated 8/10/17 from Ricoh UK Ltd for £285.06 (plus VAT) re. Photocopier use and rental. The above items of expenditure were noted. (iii) Email 27/10/17 from V Stehr, Ville de La Garenne-Colombes re. ‘Twinning Request’. The above items of correspondence were received and noted. The date and time of the next meeting was agreed to be held on Thursday, 4th January 2018 at 6pm. Present: Cllr R Gettings (Chairman), W Kidger, J Elliott, S Varley, J Aveyard, S Kimberley and R Finnigan (late arrival). K Oakley – Town Clerk also attended. Apologies were received from Cllrs R Bell. Cllrs R Gettings and S Kimberley declared an ‘other’ interest in agenda item 12, as they are both members of Siegen Circle. The minutes of the meeting held on 21/9/17 were agreed as a true and correct record. Payments totalling £24,860.44 (excl VAT) for September 2017 were approved. The financial reports for September 2017 were received and noted. The 2017/18 Committee budget was reviewed. Initial consideration was given to the Finance, GP & Strategic Committee budget for 2018/19. 4021 – Employment costs. Increase to £37,500 to account for any pay increase. 4160 – Subscriptions. Increase to £2,700 to account for any increases. 4201 – Mileage Claims. Increase to £200. The above suggestions were noted and it was agreed that the entire budget will be considered at the November meeting. Cllr Finnigan provided a verbal update on this matter. It is anticipated that the role will commence from 1st November 2017 and a timetable needs to be set. Any concerns regarding areas requiring attention should be sent to the Town Clerk. Cllr Elliott provided a verbal update, who is concerned about slow progress. The Town Clerk raised a question regarding public consultation. Cllr Elliott undertook to set up a meeting to include Adrian Curtis, Cllrs Gettings, Elliott, Aveyard, Finnigan and the Town Clerk, to discuss progress. (i) It was noted that any expenditure in respect of the above will go to the Community Development Committee for approval to pay from the Remembrance budget. (a) Contact Bob Smith re. the order of service, which will be copied by the Town Council. (b) Contact the Salvation Army band and Major Colin Stevens. (c) Contact the Scouts/Guides Commissioner. (d) Contact Andy Merckel re. Road Closure. (e) Contact Cleaner Neighbourhoods to ensure town centre is clean and tidy. (f) Contact Mick Waring re. war memorial. It was confirmed that the Explorer Scouts had been asked to do the refreshments and hand out Orders of Service, in return for a donation. It was noted that Cllrs Kimberley and Aveyard are dealing with this matter. No update was provided and it was agreed to place this item on the next agenda. The Town Clerk requested that this item be deferred to the next meeting. This was agreed. This item was deferred from the last meeting. Following a verbal report from Cllr Gettings regarding historic funding and activities undertaken by Siegen Circle, it was suggested that any future funding for Siegen Circle, should be considered on an ‘as and when necessary’ basis, rather than annually. The Town Clerk requested that this item be deferred to the next meeting. (ii) Invoice dated 21/9/17 from Neopost Limited for £97.49 (plus VAT) re. Ink Cartridge pack for Franking Machine. (iii) Invoice dated 22/9/17 from Staples UK Limited for £90.27 (plus VAT) re. Stationery. (i) Petty cash expenditure – £5.97 re. Refreshments for Heritage Open Days. (ii) Invoice dated 8/9/17 from Neopost Limited for £44.49 (plus VAT) re. Stationery. (iii) Mileage Claim – Cllr R Bell (Deputy Mayor) for £32.00. contribution rates increase in April 2018’. (iv) Letter 9/10/17 from C Buckland, Managing Director, Rialtas Business Solutions Ltd. re. Fees and Charges for 2018-19. The next meeting is scheduled for Thursday, 30th November 2017 at 7pm.